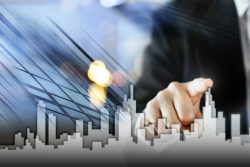 Property Management Firm In New York City - Metropolitan Hudson Management Group, Inc. | Metropolitan Hudson Management Group, Inc. Anyone who wants to invest their money in something that will generate a regular source of income for them should think about real estate. Rental properties, whether residential, commercial, retail or industrial, can offer investors a decent return on their investment. 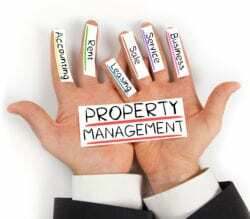 However, managing the property can be quite a challenge. 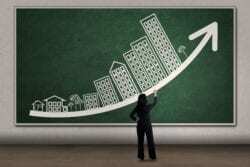 That is why investors often look for the most reliable property management firm in New York City. At Metropolitan Hudson Management Group, we have years of experience managing properties on behalf of NYC real estate investors. Managing real estate entails a lot of things. There is advertising of vacant units, screening potential tenants, cleaning vacant units in preparation for occupation, drafting lease agreements, carrying out repairs and performing general annual maintenance. We offer these services and many others. When it comes to enhancing, protecting and preserving the value of the asset, we are considered the best. We have been in the industry long enough to know what must be done to ensure that properties do not depreciate in value. We also know how to keep costs low to ensure you get the best possible returns. As a valued client, we offer a number of guarantees to you. For starters, we assure you that we will only rent out vacant tenants to suitable tenants. In case they default, it will be upon us to evict them without exposing you to any liabilities. This means that you can have peace of mind that your asset is in safe hands and it will generate enough income. We have a team of competent contractors to keep the HVAC systems, water supply, electrical power supply and gas supply running smoothly. In case a tenant experiences a problem, we will dispatch one of the contractors to carry out repairs and maintenance. This means that all the tenants occupying the building will always be happy. A simple internet search will give you thousands of management firms operating in the city. However, they are not all the same. Finding the best one for your needs, therefore, will be a big challenge. The good news is that you can never go wrong with Metropolitan Hudson Management Group. 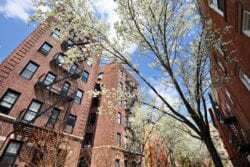 We are the preferred third party property management firm in the city of New York. Therefore, you can expect to get the best results possible for our team. Call us today to talk to our team of experts or to explore your options as far as managing your real estate holdings is concerned.